DAYTONA BEACH, Fla. -- The Florida State League Hall of Fame Committee announced today the 2015 Class of Inductees. This is the 7th Induction Ceremony. The 2015 Class will be inducted into the Florida State League Hall of Fame on November 10, 2015 at the Sheraton Sand Key Resort in Clearwater Beach. Josh Beckett -- Josh Beckett was selected by the Florida Marlins with the second overall pick in the 1999 draft. While in the Florida State League, Beckett played for the Brevard County Manatees and Jupiter Hammerheads. In 15 outings, Beckett posted a 1.09 ERA with 118 strikeouts in 74.2 innings. He played for three teams during his Major League career, including seven with the Boston Red Sox. Beckett has pitched in 335 games, thrown 2,051 innings, posted an ERA of 3.88 and compiled 1,901 strikeouts. At age 23, he was named MVP of the 2003 World Series, leading the Marlins over the New York Yankees with a title-clinching complete game shutout in Game 6. In 2007, Beckett led the Major Leagues with 20 wins, earned ALCS MVP honors and pitched the Red Sox to a World Series Championship. As a member of the Los Angeles Dodgers on May 25th, 2014, the three-time All-Star no-hit the Philadelphia Phillies at Citizens Bank Park. It was the Dodgers' first no-hitter since Hideo Nomo in 1996. Justin Verlander -- Justin Verlander was selected by the Detroit Tigers with the second overall pick of the 2004 draft, and won American League Rookie of the Year in 2006. 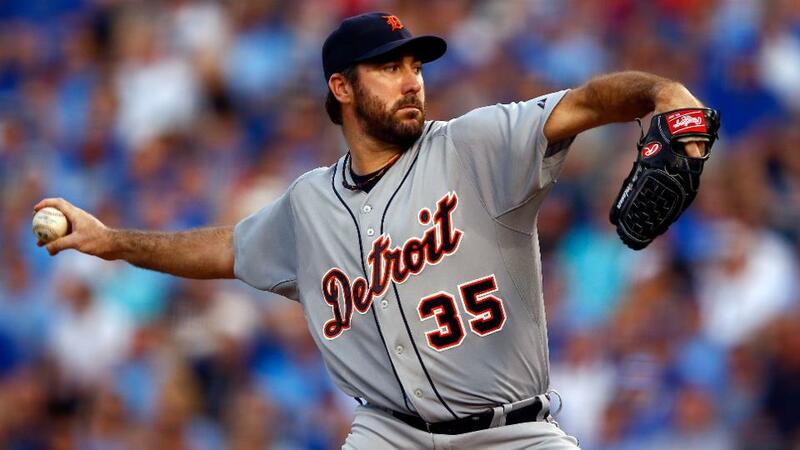 While in the Florida State League, Verlander played for the Lakeland Flying Tigers. He made 13 starts while posting a 1.67 ERA with 104 strikeouts in 86 innings. As of September 21, he has played in 304 big league games with the Detroit Tigers, pitching 2,012 innings with a 3.58 ERA and 1,852 strikeouts. With a 24-5 record and 2.40 ERA in 2011, Verlander became one of just 11 players to win the Cy Young and MVP Award in the same season, joining pitchers like Sandy Koufax (1963), Bob Gibson (1968), Roger Clemens (1986), Dennis Eckersley (1992) and Clayton Kershaw (2014). The six-time All-Star and three-time strikeout king has thrown two no-hitters in his career. Kirk Gibson -- Kirk Gibson was selected by the Detroit Tigers with the 12th overall pick in the 1978 draft. While in the Florida State League, Gibson played for the Lakeland Tigers. He played in 54 games while compiling 40 RBIs, eight home runs and a batting average of .240. Gibson played in 1635 big league games while producing 870 RBIs, 1,553 hits, 255 home runs and a batting average of .268. Gibson won a World Series with the Tigers in 1984 and with the Los Angeles Dodgers in 1988. Coming of an MVP season, Gibson hit a pinch-hit walk-off homer in Game 1 of the 1988 Fall Classic. He managed the Arizona Diamondbacks from 2010 to 2014, and was named National League Manager of the Year in 2011, leading the team to a 94-68 record and a first-place finish in the NL West Division. Kenny Lofton -- Kenny Lofton was a 17th round draft pick of the Houston Astros in 1988. While in the Florida State League, Lofton played for the Osceola Astros and the Tampa Yankees. He played in 125 games while compiling 35 RBIs, 160 hits, two home runs, and a .330 batting average. Lofton played for 11 teams throughout his Major League career, including 10 with the Cleveland Indians. In 2,103 games, he produced 781 RBIs, 2,428 hits, 130 home runs, 662 stolen bases and a .299 career batting average. Lofton led the league in steals during his first five seasons with the Indians (1992 to 1996), and won four-straight Gold Glove Awards (1993 to 1996). He was an All-Star in every season from 1994 to 1999, and appeared in the 1995 and 2002 World Series. Lofton finished his career with 34 postseason stolen bases, the most in MLB history. Kevin Mench -- Kevin Mench was a fourth round draft pick of the Texas Rangers in 1999. While in the Florida State League, Mench played for the Port Charlotte Rangers. Mench played in 132 games while compiling 121 RBIs, 164 hits, 27 home runs, and .334 batting average. In 729 Major League games, Mench produced 331 RBIs, 632 hits, 89 home runs, and a .268 batting average. In April of 2006, he became one of just six players in MLB history to hit a home run in seven consecutive games. He is the only right-handed batter on the list, which includes Don Mattingly, Ken Griffey, Jr., and Barry Bonds. Frank Thomas -- Frank Thomas was selected by the Chicago White Sox with the seventh overall pick in the 1989 draft. While in the Florida State League, Thomas played for the Sarasota White Sox. Thomas played in 55 games while compiling 30 RBIs, 52 hits, four home runs, and a .277 batting average. He played for three teams throughout his Major League career, including 16 seasons with the White Sox. In 2,322 total games, he produced 1,704 RBIs, 2,468 hits, 521 home runs, and career batting average of .301. Thomas was elected to the Baseball Hall of Fame in 2014, his first year of eligibility. "The Big Hurt" won back-to-back American League MVP Awards in 1993 and 1994, and won the batting title in 1997 with a .347 average. Thomas is one of just seven players to retire with at least a .300 batting average and over 500 home runs, joining players like Ted Williams, Babe Ruth, Willie Mays and Hank Aaron. A five-time All-Star, Thomas won the World Series with the Chicago White Sox in 2005. Omar Malavé -- Omar Malave has been a Manager in the Florida State League for the Dunedin Blue Jays for seven seasons and accumulated 525 wins with a .549 winning percentage. Malavé was named 2014 Florida State League Manager of the Year. He has spent over 30 years with the Blue Jays organization, starting when he was signed as a free agent in 1980. After a nine-year playing career, Malavé went on to manage and coach at six different levels in the Blue Jays system. He managed the Gulf Coast League Blue Jays, the Single-A Hagerstown Suns, the Advanced-A Dunedin Blue Jays, the Double-A Knoxville Smokies, and the Triple-A Syracuse SkyChiefs before working as a first base coach for Toronto in 2010. Malavé managed in Dunedin from 2004-2009, guiding the club to four playoff berths and one Florida State League Championship Series appearance in six seasons. He spent the 2013 campaign as the coordinator of Latin American operations in the Blue Jays player development system. He has returned to Dunedin as manager for the past two years, including this season. In 2014, he led the Blue Jays to their fifth consecutive playoff appearance and the second-best first half in team history, posting a 43-26 record. It was Dunedin's best start since 1990. 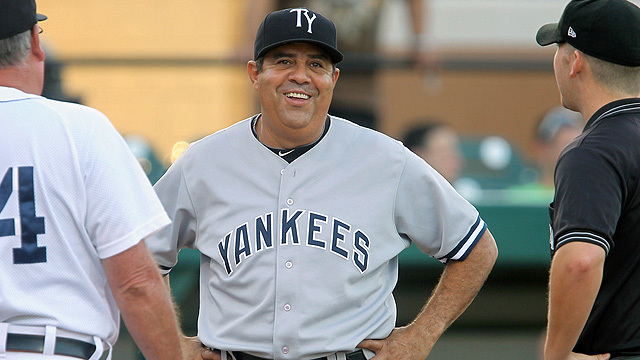 Luis Sojo -- Luis Sojo managed the Tampa Yankees for seven seasons and accumulated a .528 winning percentage and a Florida State League record 504 wins. He led the Tampa Yankees to the FSL title in 2009, and was named the league's "Best Managerial Prospect" by Baseball America. Sojo played in parts of seven seasons with the New York Yankees and contributed to four World Series Championships (1996, 1998, 1999, 2000). He drove in the title-clinching run in Game 5 of the 2000 World Series against the New York Mets. He worked as a coach for the Yankees at the Major League level in 2004 and 2005. Sojo is part of an elite group of players to record 1,000 hits in MLB and the Venezuelan Winter League, and managed the Venezuelan National Team in the 2006, 2009 and 2013 World Baseball Classic. Sojo was originally signed by the Toronto Blue Jays as a non-drafted free agent in 1986, and spent parts of 13 seasons with five different teams. Debbie Brooks -- Debbie Brooks was the first female General Manager in the Florida State League with the Tampa Tarpons in 1987. With more than 27 years in professional baseball, her career is fueled daily by her natural, genuine passion for the game. In 1997, she went to work for the Tampa Bay Devil Rays, now the Rays, where she boasts nearly an 18-year career, serving currently as Merchandise Manager. Debbie feels unbelievably lucky to work for the Rays organization and reflects equally as proud on her days in the FSL. Starting with a two-month internship with then-general manager Mike Moore, Debbie had an eight-year career with the Tarpons. Debbie enjoys memories of Al Lopez Field, the ballpark where she got her start, including being married on home plate in 1988. Her most treasured reward from her time with the FSL are the friendships that she continues to enjoy today. Debbie once said of baseball, "It's not just a game. It's family." Rob Rabenecker -- Rob Rabenecker was a general manager in the Florida State League for 20 years. He was the GM of the West Palm Beach Expos, Jupiter Hammerheads and the Palm Beach Cardinals. Rabenecker also oversaw the construction of Roger Dean Stadium, the only two-team Major League training facility in Florida and the only two-team minor league facility in the country. Throughout his career, he oversaw Spring Training operations for the St. Louis Cardinals, Florida Marlins and Montreal Expos. Rabenecker was named Florida State League Executive of the Year in 1992, and served as a member of Minor League Baseball's Marketing Committee from 1998-2007. Tom Simmons -- Tom Simmons served 10 years as a General Manger of the Vero Beach Dodgers from 1987-1997 and General Manager of the Mobile Bay Bears from 1998-1999. He oversaw Spring Training operations for the Los Angeles Dodgers at historic Dodgertown in Vero Beach, while running their Advanced-A affiliate during the summer. In 1998, he led the BayBears to a Minor League Organization of the Year Award and a Southern League Championship. Currently, Simmons serves as the athletic director at Ohio Northern University and has held that position for the past 16 years. Mitch Lukevics -- Mitch Lukevics has been the Tampa Bay Rays Director of Minor League Operations since 2006, overseeing every aspect of the Rays farm system, including the 2015 Florida State League Champion Charlotte Stone Crabs. Lukevics was honored with the Sheldon "Chief" Bender Award in 2012, which is presented to someone with distinguished service who has been instrumental in player development. Lukevics has now spent over 40 years in professional baseball as a pitcher, coach and Minor League administrator. He was drafted by the Chicago White Sox in the second round of the 1975 draft, and reached the Triple-A Level. After working as the New York Yankees Farm Director for six years, Lukevics joined the Rays organization as a pitching coach in 1996. His efforts in player development helped Tampa Bay reach its first World Series in 2008. Richie Garcia -- Richie Garcia worked as an umpire in the Florida State League in 1970 and 1971 before his call up to the big leagues in 1975. By 1985, he was promoted to Crew Chief. Garcia worked in five American League Championship Series (including Crew Chief in 1990), four World Series (including Crew Chief in 1989 and 1998), three American League Division Series and two All-Star Games. Garcia also umpired two perfect games; Len Barker in 1981 and David Wells in 1998. His son-in-law, Vic Carapazza, has been a Major League umpire since 2010. The ceremony is open to the public and tickets are $75.00 per person. Dress is cocktail attire. More information will be available closer to the event. Please call 386-252-7479, or email fslbaseball@cfl.rr.com with any questions.